Olson’s Steam Carpet and Upholstery Steam Cleaning provides a number of upholstery cleaning services to keep the furniture and drapery of your home or business spotless. 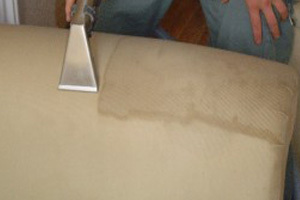 We specialize in upholstery cleaning for apartments. If you have dark spots or obvious stains in your furniture or drapery, we offer spot and stain removing. Using non-toxic but powerful cleaning solutions along with brushes and vacuum cleaner extensions, we’ll make the stains disappear. We know the proper cleaning agents and techniques for any type of fabric and stain, from linen to leather and grease to nail polish. As much as we all love our pets, sometimes they can make a real mess on our carpets and furniture. Olson’s Steam Carpet and Upholstery Steam Cleaning removes all pet stains, including urine, feces, saliva, vomit, and pet hair from any surface of your home. Our cleaning service will help you forget about the mess you so can get back to cuddling your pet instead of scolding them. Our team of cleaning professionals also removes odors from furniture and drapery. Whether you have odors from fire damage, smoke, pet urine, mold, or mildew, we have the tools and expertise to lift the odor from the material, leaving nothing behind except a fresh, clean surface. We also offer fabric care Scotch guarding, applying this stain and water repellant to fabric, furniture, and carpets which protects them from further stains. Scotch guard acts like a barrier to keep liquid and solid stains from soaking in so you can easily remove them.